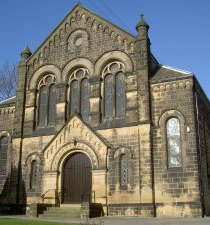 Each year Baildon Methodist Church supports the Methodist Church’s own Relief and Development agency “All We Can” through our GiFO (Giving for Others) appeal in April and the special Easter Offering. All We Can is an international development and emergency relief organisation. Focusing on those in greatest need, it is inspired by Christian principles, with its roots in the British Methodist Church. All We Can helps find solutions to poverty by engaging with local people and organisations in some of the world’s poorest communities to end the suffering caused by inequality and injustice.